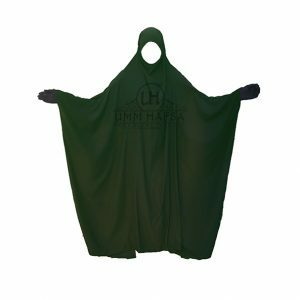 Discover the “Big Jilbab” OPEN V NECK Two Piece Jilbab by Umm Hafsa Collection! 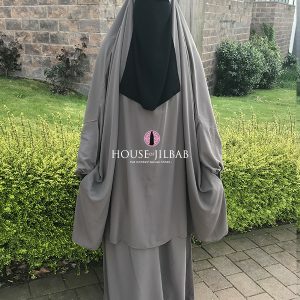 The Open Neck version of the popular Big Jilbab! 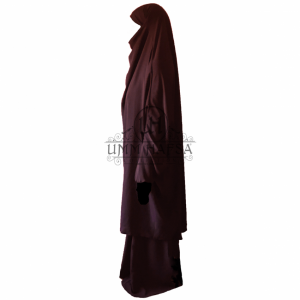 An Oversized Two Piece Jilbab Style with a width of two meters, the best of the coverage ! 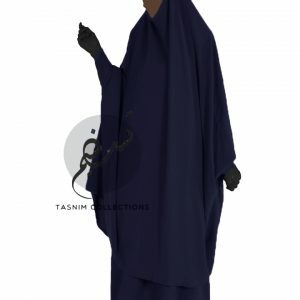 Very Loose and Wide, Lightweight, Flowing, This is one of the Most Comfortable Jilbab Ever! 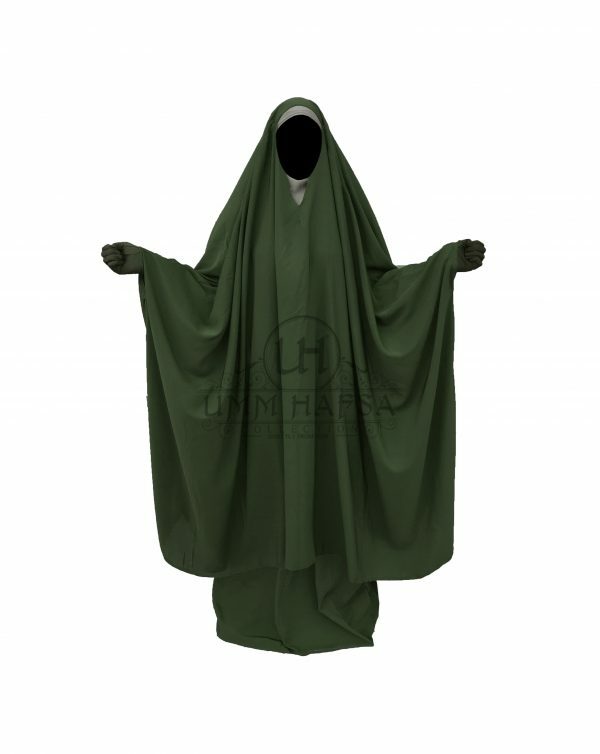 As it has an elastic headband, It can be worn with a Hijab or a Niqab underneath. 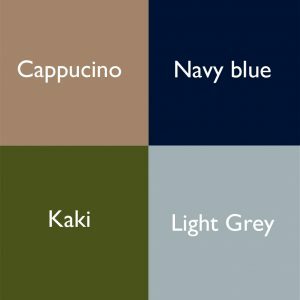 Very convenient for this winter as the Open Neck Style is very breathable especially if you wear layers underneath. 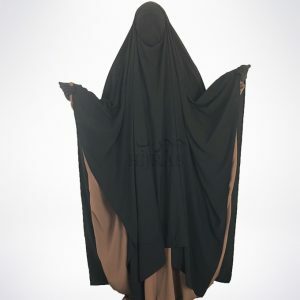 You can even wear it over your jilbab to add like extra cover. SKU: N/A. 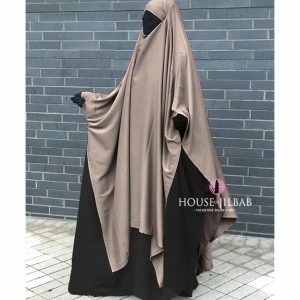 Availability: In Stock Size: N/A Categories: Overhead Abaya, Umm Hafsa, New in, Brands, Jilbab, All, Two Piece Jilbab, Saudi Jilbab.